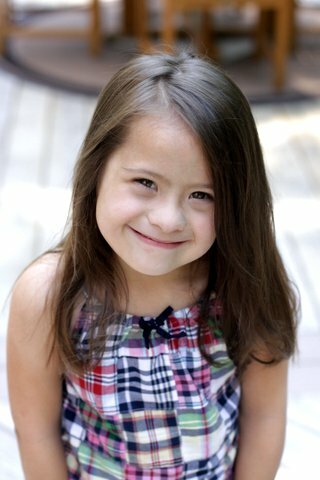 Down syndrome is a genetic condition that occurs in one in every 691 births. It is the most frequently occurring chromosomal condition and is found in people of all races and economic levels. More than 400,000 people in the United States have Down syndrome.A few of the common physical traits of Down syndrome are low muscle tone, small stature, an upward slant to the eyes, and a single deep crease across the center of the palm. Every person with Down syndrome is a unique individual and may possess these characteristics to different degrees or not at all.People with Down syndrome have an increased risk for certain medical conditions such as congenital heart defects, respiratory and hearing problems, Alzheimer’s disease, childhood leukemia, and thyroid conditions. However, many of these conditions are now treatable, so most people with Down syndrome lead healthy lives. Life expectancy for people with Down syndrome has increased dramatically in recent decades – from 25 in 1983 to 60 today.